Colome girls basketball team was defeated by Lyman 48-32 in the first round of the Southern Plains Conference basketball tournament Thursday in Colome. 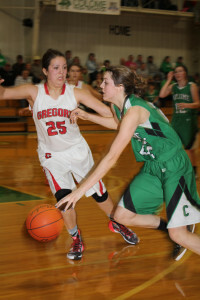 Mariah Kinzer scored 8 points and Taylor Hrabanek, 7. Callie Heath and Hrabanek each pulled down 6 of Colome’s 28 rebounds.